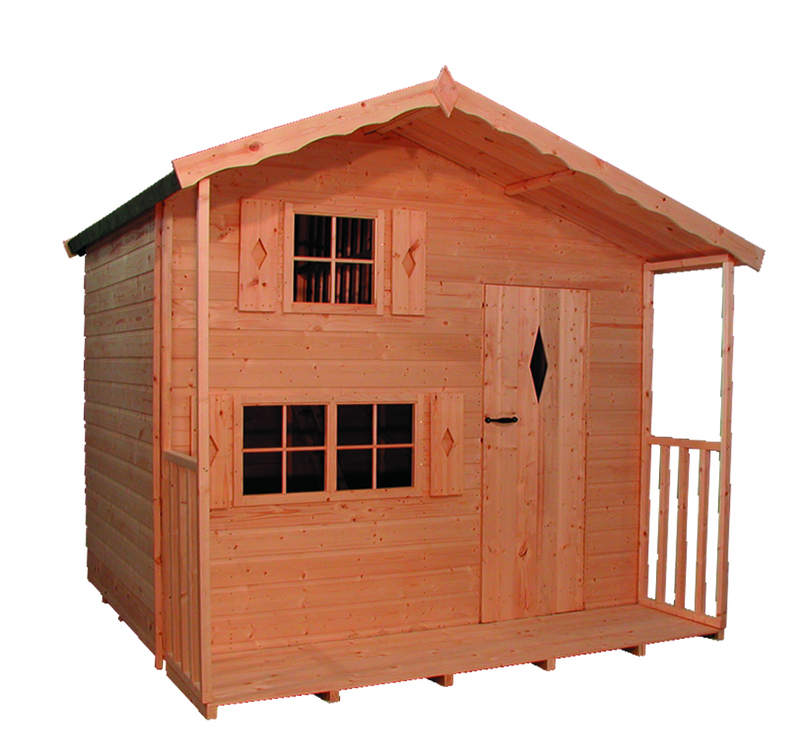 The Blue Bell playhouse is a beautiful and affordable building. 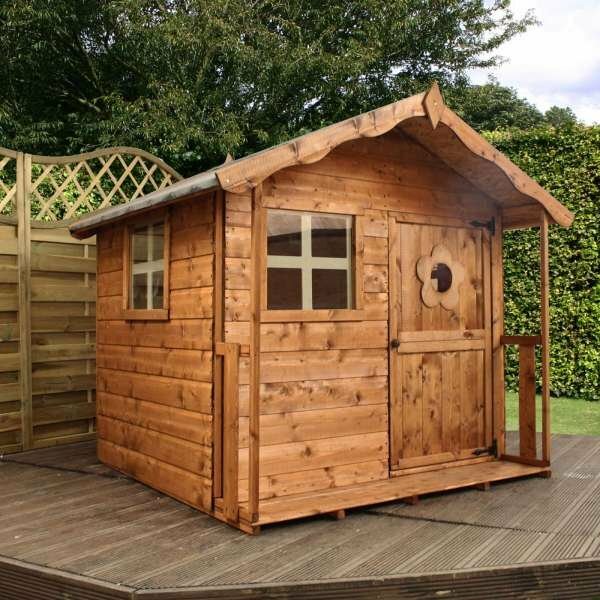 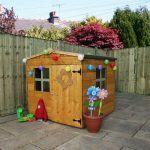 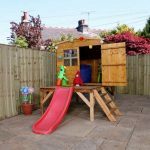 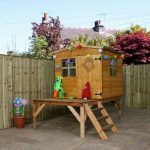 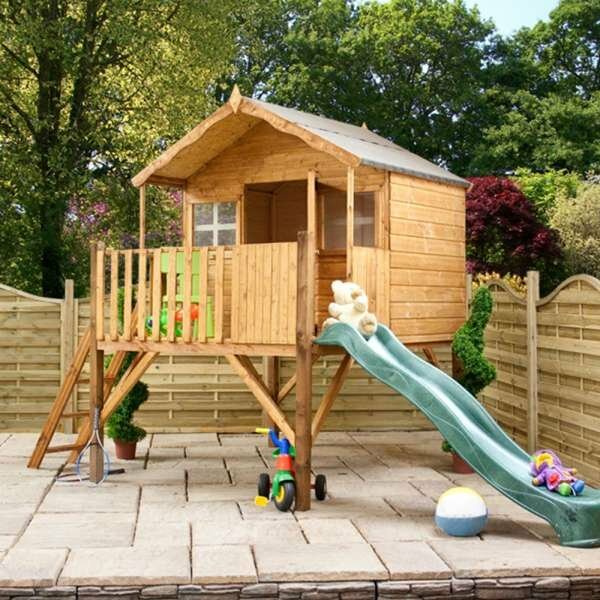 It offers the opportunity to incorporate a timber tower and slide for more space and adventures. 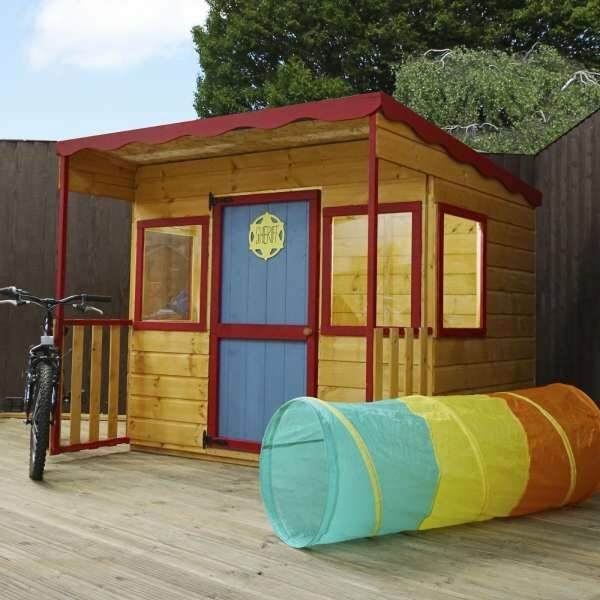 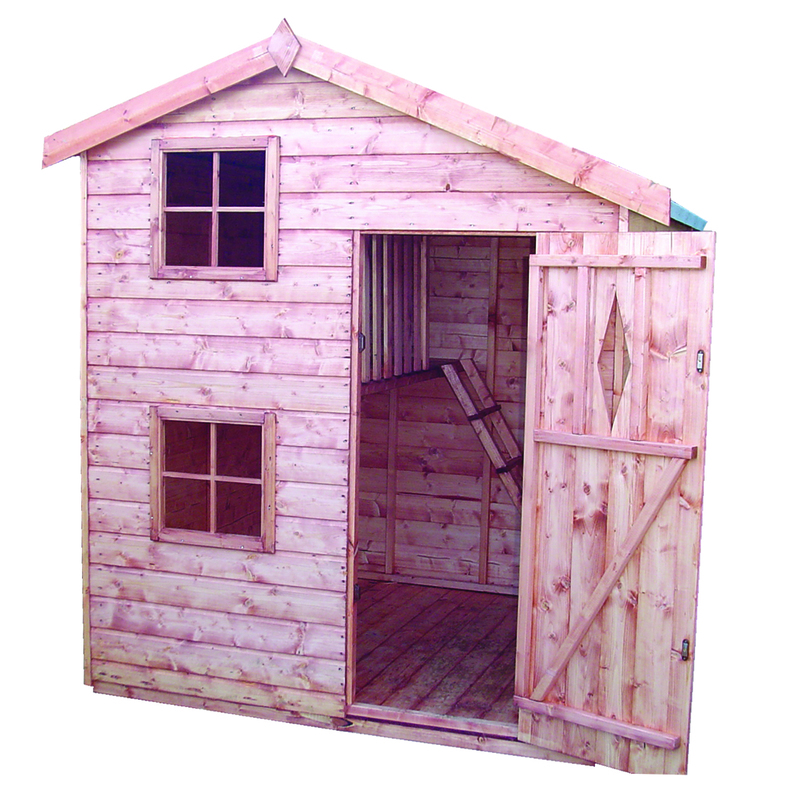 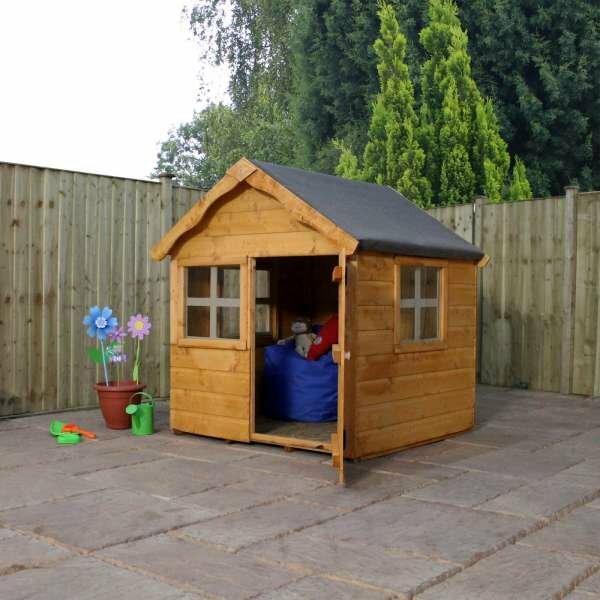 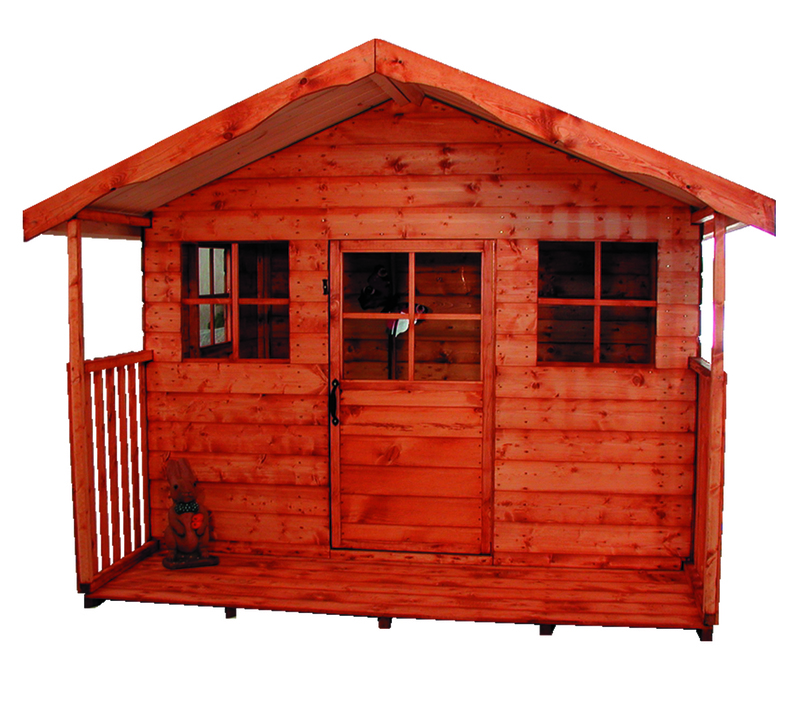 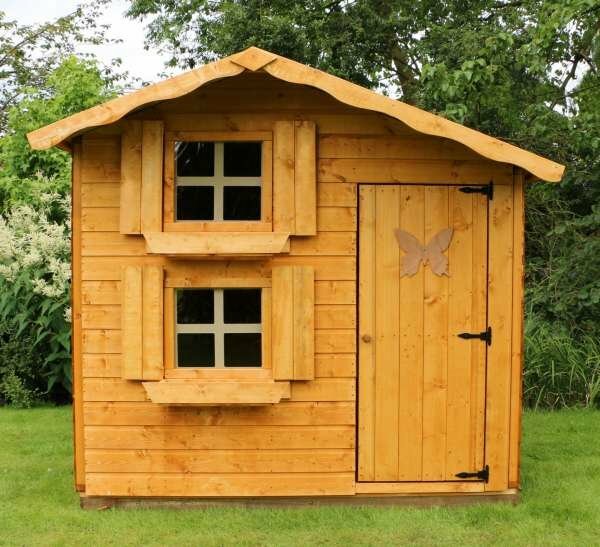 It is equipped with three fixed styrene shatter-proof windows for your child’s safety, single door and sand felt.